On August 30, 2013, the Centers for Medicare & Medicaid Services (CMS) distributed to each individual SNF facility, through its contractor (TMF Health Quality Institute), a Program for Evaluating Payment Patterns Electronic Report (PEPPER). Although these reports have been distributed to other types of health care providers (e.g., hospitals, psychiatric facilities, hospice, etc. ), this is the first time that the SNF profession has received PEPPERs, and many AHCA members have questions about how to read and use the report. To address those member concerns, we have asked the CMS Contractor, Kimberly Hrehor with TMF Health Quality Institute, to provide us with additional information about the history and background of the PEPPER, a description of the risk areas for improper SNF Medicare payments, a discussion of the percentiles and the comparison groups, and a demonstration of how to read and use the report. In order to cover all this material, and allow participants the opportunity to digest the information, we have scheduled two separate webinars that build upon each other on Nov. 7 at 3:00PM (SNF PEPPER Training Part I), ET and Nov. 8 at 3:00PM, ET (SNF PEPPER Training Part II). Please register for the events separately and in advance here for Nov. 7 and here for Nov. 8. Dementia, and how to care for individuals with dementia, has been a popular subject recently. 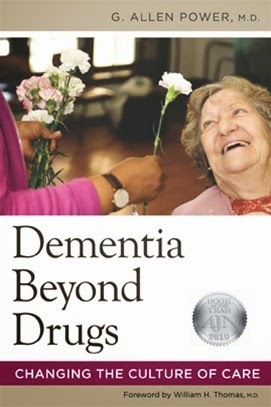 Let this book give you suggestions on how you can care for dementia patients, all with the goal of reducing the amount of their medications. Dr. G. Allen Power, board-certified internist, geriatrician, nursing home practitioner, and Eden Alternative™ Educator, challenges all care providers working with individuals with dementia to undertake a true operational change. You will learn how to embrace more humanistic, enlightened practices that address the most common challenges in caring for people who live with dementia. Overcome communication challenges, minimize anxiety and depression, root out the causes of wandering, and gain insights into paranoia and delusions so that you can learn to treat individuals with dementia as the human beings that they are rather than letting their dementia define them. Place your online order at http://www.ahcapublications.org or phone orders at 800-321-0343. 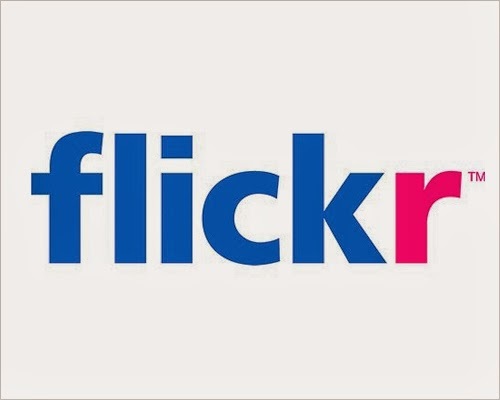 Convention Photos Now Available on Flickr! Photos from AHCA/NCAL's 64th Annual Convention& Expo are now available on our Flickr page here! Check out photos from all of Convention's exciting events including the PAC Concert, the Quality Award Reception, NFP Day, NCAL Day, ID/DD Day, Gala, the Expo Hall, Opening and Closing General sessions, and many more! A new Alliance for Health Reform Toolkit was recently released that will give you the latest information on the employer mandate in the Affordable Care Act (ACA). The Toolkit, produced with the support of the Robert Wood Johnson Foundation, details the ACA's employer requirements and penalty. It also includes information about the delay in the mandate to 2015, and analysis about its impact on employer-based coverage. In addition, the Kaiser Family Foundation recently partnered with the Center on Budget and Policy Priorities, and the Georgetown University Center on Health Insurance Reforms to answer several frequently asked questions about the ACA. The complete FAQ document can be found here. If you have any questions or comments about the health reform law, please submit them to insurancecoverage@ahca.org, and be sure to check out AHCA/NCAL’s ACA website. Hot off the tail of the heated budget battle that consumed Washington for the better part of October, members of Congress are strategizing for the next round of negotiations that will occur at the end of this year. The government is currently funded through January 15th, the same date a new round of sequestration cuts is slated to take effect; both are sure to feature prominently in end-of-year discussions. The Committee on the Budget, created during the negotiations which reopened government and extended the debt ceiling, is set to meet for the first time on Wednesday, October 30th. Led by House Budget Committee Chairman Paul Ryan (R-WI) and Senate Budget Committee Chairwoman Patty Murray (D-WA), the committee is tasked with finding an alternative to the automatic spending cuts in January. The political fallout from the government shutdown and near-default on America’s debt left members in both parties denouncing the possibility of another contentious, eleventh-hour negotiation. “We need to focus on achievable goals,” he added. Republicans are generally opposed to the deep cuts to defense spending which the sequester mandates. If no deal is reached before January 15, a substantial portion of the $19 billion spending reduction—from $986 billion to $967 billion—will be felt by those in national security. Democrats are more universally opposed to any spending decrease. The Democrat-led Senate’s budget plan assumes government spending at $1.058 trillion in 2014. AHCA’s Advocacy Team will continue to monitor the situation on Capitol Hill through this legislative lull to ensure that long term care’s voice is heard loudly and clearly in the halls of Congress. Make sure you stay involved as well, using AHCA resources to get in touch with your members of Congress and letting them know the solutions during these budget negotiations are smart reforms, not arbitrary cuts. 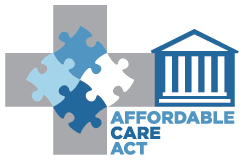 CareFirst BlueCross BlueShield has released a FAQ for large group employers regarding the Affordable Care Act (ACA). The document includes, among other things, helpful information regarding the employer mandate, minimum essential coverage, medical loss ratio requirements, and an implementation time line. If you have any questions about the health reform law, please submit them to insurancecoverage@ahca.org. 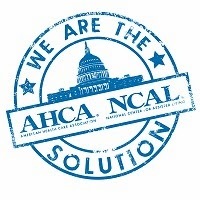 In addition, be sure to check out AHCA/NCAL’s ACA website, and register for the webinar AHCA/NCAL is hosting on critical health reform deadlines and implications for providers on November 14, 2013, at 2pm EST. AHCA Publications has your updated October 2013 edition of the RAI MDS 3.0. Get the best of both worlds with the printed RAI MDS binder and the MDS e-book for one low price! The three ring binder helps you stay organized with 49 tab sections for easy reference. Pull out the sections that you need when you need them and add your own notes. The RAI MDS 3.0 binder is your go-to manual so you can feel confident that your facility is always survey-ready and compliant. The MDS e-book is a fantastic online tool that lets you navigate quickly and easily to any page, chapter, or form you need to see. Bookmarks help you get a visual of the book in its entirety. You'll wonder how you ever managed without the electronic version. Have the binder already and don't want to replace it? Purchase just the printed pages of the RAI MDS and save. The October 2013 edition of the e-book is available right now. The printed versions will ship in early November. Order online: ahcapublications.org or order by phone at 800-321-0343. How Did Members Rate AHCA/NCAL's 64th Annual Convention & Expo? The 64th AHCA/NCAL Annual Conference & Expo went above and beyond my expectations! It was excellently organized and structured to make to most out of the attendees experience! Thank you to all that are involved in the planning and execution of the event! I have attend AHCA convention for the last 5 years. This years’ tops them all! It was well planned and thought out. I love being able to get my handouts electronic. The social events were phenomenal. The education hit on the struggles that I seem to be having back at home so I didn't feel so guilty for being out of the building. It is hard to decide what was more valuable, the educational opportunities or the networking. Both exceeded my expectations. The conference was completely inspiring and motivating, reaffirms why I love what I do each day! ", "The passion in the presentations to provide the highest quality environment for our staff and residents was exceptional. I climbed a mountain to get to the Convention, and when I got to the top It was surrounded by so many people with so much to learn, it was as though I really was on top with the best view ever! As always the conference was inspirational, rewarding, fun, educational and relevant. Thank you AHCA for working so hard on our behalf! This convention meant a lot to me not only did I learn new things, meet new people but I came home with my version of an Oscar, The Silver Quality Award. Appreciated the convenient locations of the great hotels, restaurants and beautiful Convention Center. Easy walking and excellent directional signs inside CC. Spacious exhibition hall with excellent food. Fun time! I thought Dr. Ben Carson's address was exceptional and inspirational. I enjoyed many of the educational sessions and took home new and important information. The General Session and Keynote speakers were wonderful....and the educational and networking opportunities were outstanding. This may be one of the best AHCA/NCAL conventions ever - and I attend every year! Networking with the exhibitors is always great. They are a valuable asset to the convention. We all know at least one—a fabulous nurse assistant who is always happy to mentor new CNAs, the administrator who goes out of his way to let his staff know each and every day how much they are appreciated, or the incredible activities director who seems to have an indefatigable ability to come up with creative and innovative activities? 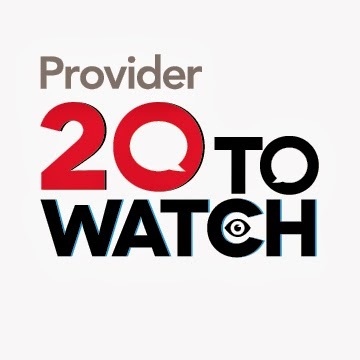 These are the folks we need your help identifying for this year’s 20 To Watch list—folks who have both the compassion and the vision to make a lasting impact on the profession. If you know someone like this, please consider nominating him or her today. A brief explanation of how the candidate has helped (or is currently helping) residents and/or staff achieve their potential. A one- or two-sentence statement about how the candidate has the potential to become a leader within the profession. A brief description of how the candidate has successfully implemented an innovative program that positively impacted residents and/or staff. The honorees will be featured in the January, February, and March 2014 issues, and a page on Provider's website will be dedicated to them. 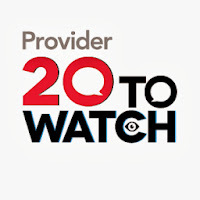 For more information, and to see this year’s group of 20 To Watch honorees, go to www.providermagazine.com/20-To-Watch/Pages/2014.aspx. ** Please note that all nominees who are staff members at a nursing home or assisted living community must be working for a current AHCA or NCAL member. Follow, Friend & Chat with Your Members of Congress! 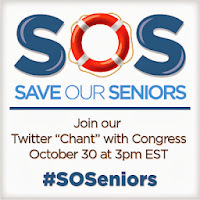 On October 30th at 3:00 pm EST, long term care advocates will hold a group Twitter “Chant” to send Tweets & Facebook posts to our Members of Congress. The AHCA/NCAL Social Media Super Advocates will host a webinar providing sample Tweets and Facebook posts to keep a unified message. 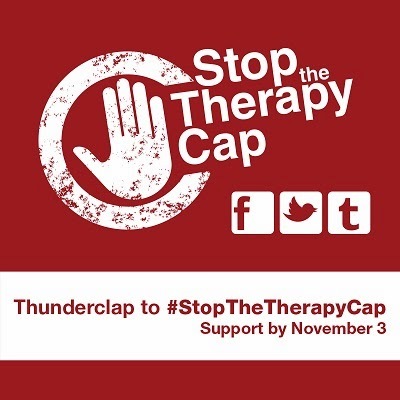 Staff will also be on hand to help those requiring assistance helping each participant share a message with at least two Members of Congress. 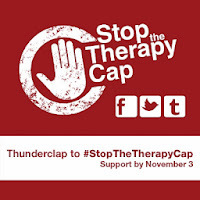 Please forward to friends and RSVP to mcowden@ahca.org if you’d like to join the “Chant.” Through a unified message, Congress will notice our collective action and learn well what legislative issues concern our profession. 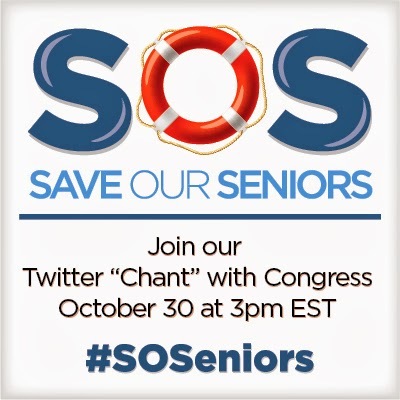 If you’re unsure how to use Twitter and want to learn more before our “Chant,” check out this recorded instructional webinar. Coming Soon: Two-Part Series Webinar Event! Session Description: On August 30, 2013, the Centers for Medicare & Medicaid Services (CMS) distributed to each individual SNF facility, through its contractor (TMF Health Quality Institute), a Program for Evaluating Payment Patterns Electronic Report (PEPPER). Although these reports have been distributed to other types of health care providers (e.g., hospitals, psychiatric facilities, hospice, etc. ), this is the first time that the SNF profession has received PEPPERs, and many AHCA members have questions about how to read and use the report. To address those member concerns, we have asked the CMS Contractor, Kimberly Hrehor with TMF Health Quality Institute, to provide us with additional information about the history and background of the PEPPER, a description of the risk areas for improper SNF Medicare payments, a discussion of the percentiles and the comparison groups, and a demonstration of how to read and use the report. In order to cover all this material, and allow participants the opportunity to digest the information, we have scheduled two separate webinars that build upon each other on Nov. 7 at 3:00PM EST and Nov. 8 at 3:00PM EST. 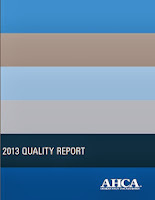 Preparing For Your 2014 Quality Awards Journey? Mark your calendars! The Intent to Apply deadline for the 2014 Quality Awards is Thursday, November 14. 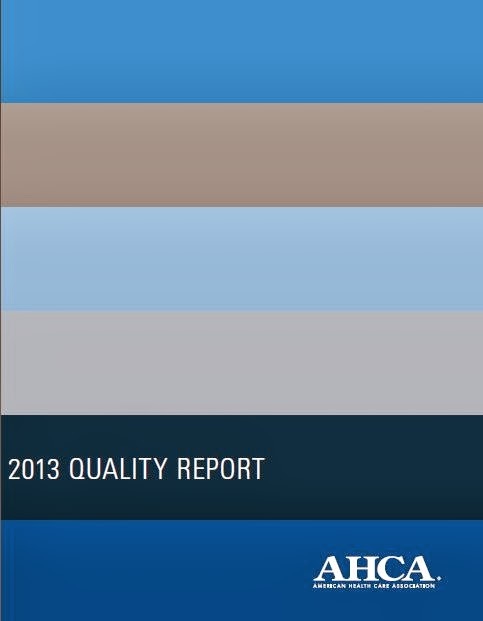 2013 AHCA Quality Report Now Available! From 2008 to 2013, direct care nursing hours per resident day have increased at all levels of nursing staff. Centers receiving an overall rating of four or five stars on the CMS Five Star rating system has steadily increased to 46.9 percent. From 2009 to 2013, the proportion of skilled nursing care centers receiving five stars has increased from 11.8 percent to 19.6 percent. Nearly all (95.2 percent) of Medicare admissions to skilled nursing care centers require assistance with four or five activities of daily living and 61.1 percent of long-stay residents have dementia. AHCA members have made measurable progress in reaching goals outlined in the AHCA/NCAL Quality Initiative. In the first 12 months of the program, AHCA members prevented unnecessary rehospitalizations for more than 17,000 individuals and reduced off-label use of antipsychotics for 11,350 individuals. To read the press release, view the full report and download the one-page highlights, please visit qualityreport.ahcancal.org. Standard rate methodologies for Medicare and differences in Medicaid rate methodologies by state. Savings and withhold assumptions for each state along with a state explanation of the assumptions. We will also review and discuss quality measures and incentives, and focus on states with MOUs and Contracts in place. Discuss the differences between the populations included the demonstration design in each state. Providers will learn how the Medicare-Medicaid Coordination program or “dual-eligible” demonstration has evolved in each State. Providers will learn about the status of key characteristics as reflected and possible impact on providers in MOUs or Contracts signed with the State, CMS and health plans, particularly with respect to quality and rate methodologies. Providers will be better able to understand basics of how the demonstration is different from other programs currently serving Medicare and Medicaid enrollees, or dual-eligibles. These include Institutional Special Needs Plans, Chronic Care Special Needs Plans, Dual-Eligible Special Needs Plans and Fully Integrated Dual Eligible Plans. Get Even More CEUs and Access to Convention Sessions You Missed! Continue to receive the benefits of convention education forums by listening to selected convention education sessions synched with all of the presentation slides. The slides automatically advance as the audio plays, and you can pause, rewind, and fast forward. Play the proceedings on your computer, or portable devices like an iPad, iPod, tablets, etc. You will receive additional CEUs for completing the session(s) online. This is a great resource to have should you need CEU credits to meet licensing requirements. Purchasing the package gives you one-year access to more than 20+ convention sessions in webinar format. This is a limited time offer so be sure to take advantage of this valuable opportunity. Click here for order information and details. 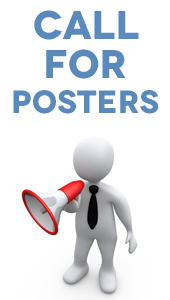 We are currently accepting Poster Session proposals for the 2014 AHCA/NCAL Quality Symposium in New Orleans, LA on February 10-12, 2014. We are particularly interested in proposals showing how improvements in the Quality Initiative Goals have improved business outcomes. Click here to submit an application. The deadline to submit is November 18th, 2013. Applicants will be notified on December 13th, 2013. For questions contact Urvi Shah at ushah@ahca.org. Convention Quality Videos Now Available on YouTube! This is part of a special blog series this week, highlighting AHCA/NCAL members who are “emergency heroes” – going above and beyond the call of duty in the face of natural and man-made disasters. When an employee ran upstairs and announced that there was smoke in the electrical room, staff members of Brittany Manor, a Ciena Healthcare skilled nursing facility in Midland, Michigan, were prepared. In her role as administrator, Lynne Davis routinely organized fire and disaster drills at Brittany Manor, and carefully trained her staff on emergency procedures. On August 10, 2012, staff members had a chance to put all of their emergency preparation into practice. After pulling the fire alarm to alert the building’s residents of an emergency, the local fire department arrived and determined that an air-handling unit on the roof was on fire. Davis recalls with great detail that her staff first and foremost followed fire protocol of ensuring that doors were properly closed and residents were out of harm’s way. When the order came, the staff placed residents into wheelchairs and ushered them outside to the parking lot. Once outside, staff transported residents across the street to a juvenile center. By the time Davis arrived on the scene, she found all of her staff and residents safe and sound, though understandably a bit shaken, outside of the center. Due to structural damages at the facility, staff understood that they would need to begin relocating residents. Corporate staff began to call residents’ family members to update them on the incident, and some of Brittany Manor’s sister facilities began arriving to help transport residents to new facilities while Brittany Manor was undergoing partial reconstruction. Davis anticipated her residents’ fears of moving into unfamiliar surroundings, and brainstormed ways to help make their transitions more comfortable. “[We] had staff assigned to every building to which residents were transferred so that they didn’t lose touch with home and saw a familiar face,” said Davis. A few weeks later, Brittany Manor received the green light to begin opening up areas of the repaired building, and residents were slowly transported back home. By then, workers had repaired extensive water damage in the building, though luckily, there was no major smoke or fire damage. Davis reported that several staff members also participated in the building restoration process. Lessons are often learned through unfortunate events, and the fire at Brittany Manor is no exception. Today, Lynne Davis shares her experiences with others, and is an active member of the Michigan emergency preparedness network. If you know of an emergency hero you’d like to tell us about, please email AHCAPressOffice@ahca.org. Ed Taglieri first heard the wailing of sirens around mile 22 on this April’s Patriots’ Day. Emergency vehicles began speeding past runners, and at first, Taglieri assumed a marathoner had had a medical emergency. This was Taglieri’s fourth time running the Boston Marathon’s 26.2 mile terrain, and he was accustomed to the presence of emergency responders around the track. As the sirens’ roars intensified, Taglieri knew that something serious was happening further ahead near the finish line. Taglieri, a nursing center administrator and pharmacist for nearly 31 years, was running his fourth Boston Marathon for the Alzheimer’s Association (ALZ). He had trained for months in preparation for the grueling race, rowing and weight training during 5 a.m. workouts, running 6-7 miles two days a week, and 18-20 miles each Saturday. Taglieri was determined to finish the race in less than five hours, and aspired to raise $8,000 for ALZ in 2013. Taglieri has special ties to Alzheimer’s. His mother-in-law is living with the disease, and he currently serves as Executive Director of Beaumont Rehabilitation and Skilled Nursing Center, that has an Alzheimer’s unit, in Worcester, MA. In his previous three Boston Marathons, he had raised $48,000 for ALZ. Taglieri involved not only his residents in his marathon preparations, but also the children in the center’s adjoining childcare center, the SALMON Center for Early Education. He spoke about the history and relevance of the Boston Marathon with children and residents, and emphasized the importance of a healthy lifestyle, and giving back to your community. This year, Beaumont residents participated in a marathon of their own, when they worked together to reach a 26.2 mile distance through walking and rolling their wheelchairs. One week before the marathon, residents shared a pasta “load lunch,” and some were taken to tour the marathon’s route in the center’s van. The long term care sector lost a passionate advocate and dear friend on September 13, when Michael Barody, executive director of Regal Palms of Largo, Fla., and former President of the Florida Health Care Association (FHCA), passed away. 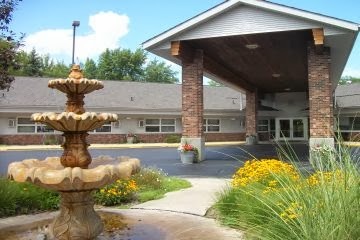 Barody served in senior living management for more than 30 years. He became the executive director of Regal Palms in 2009, a senior living community managed by The Goodman Group. He prided himself on creating surroundings that allowed residents to not just be comfortable, but to thrive. Regal Palms, a 197-bed independent and assisted living community, managed by The Goodman Group, offers seniors personalized care, including memory care, among other services. Barody’s unwavering commitment to his residents and staff drove him to implement several quality improvement programs such as INTERACT II, a decision that significantly reduced the center’s hospital readmissions. Barody’s hard work paid off. Regal Palms recently became the first assisted living center in Florida to achieve both the Bronze and Silver National Quality Awards from American Health Care Association/National Center for Assisted Living (AHCA/NCAL). At FHCA’s annual conference this year, Barody also received the 2013 Assisted Living Facility Administrator of the Year. 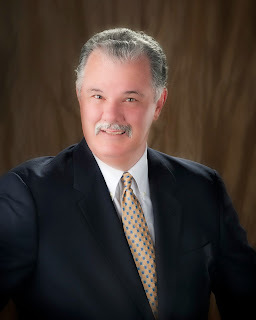 During his previous work as President of FHCA, Barody was actively involved in the association’s Florida Center for Assisted Living (FCAL) Committee. He received FHCA’s highest honor, the Walter M. Johnson, Jr. Circle of Excellence Award in 1994. Barody also served on the board of trustees for All Children’s Hospital, a Johns Hopkins member in St. Petersburg, Fla.. He is survived by his wife and partner of 34 years, his two daughters, Ashley and Chelsea, and his son, Brandon. The day after the Boston Marathon Bombing, on April 17, America’s attention unexpectedly turned to West, Texas, when an ammonium nitrate explosion wreaked havoc at the West Fertilizer Company storage distribution facility. Shortly before the explosion, West Fertilizer Company workers discovered a fire in the building, and called the local fire department. As first responders arrived and began to douse the building with water, the plant exploded into flames. At least 15 people perished as a result of the wide-spanning explosion, and more than 160 people were injured. More than 150 buildings were damaged or completely destroyed. One of those buildings was West Rest Haven (WRH), a nursing home just over 200 yards from the West Fertilizer Company. WRH’s windows shattered, doors were blown off their hinges, and ceilings crumbled, covering and trapping many residents in their beds. Once WRH staff got word of a fire at the fertilizer plant, they launched into an evacuation drill that they had practiced just two weeks earlier and began moving residents to the side of the nursing home furthest from the plant. A few moments later, the plant exploded. Broken glass covered the floor of the building, and water poured from the sprinkler systems. WRH staff knew they needed to get residents out of the building quickly, but transporting them by wheelchair was out of the question, as the hallways were covered in a foot-high mountain of debris. Knowing they had to act quickly, WRH staff picked up residents still in their wheelchairs and waded through the wreckage to carry them outside to safety. WRH residents were transported to a football field and gymnastics building on a nearby street. Though several residents had minor injuries and had to be transported to the hospital, only one casualty was reported. 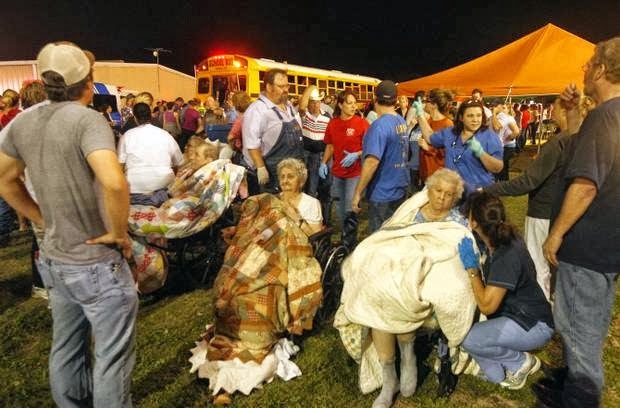 Within mere hours of the explosion, most residents had been relocated to 12 other nursing centers. Currently, WRH plans to break ground on a new 120-bed nursing home across the street from the old building early next year. Dispersed residents are anxious to return to WRH. “When we prayed for rain during the fires, this is really not what we had in mind,” said Arlene Miles, President and CEO of the Colorado Health Care Association. 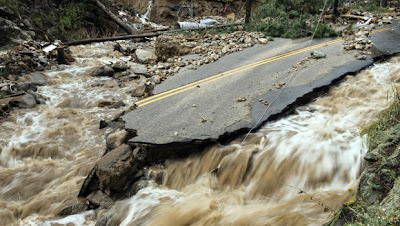 The ongoing Colorado floods first began on September 9, as tropical moisture, often referred to as “the monsoon” by locals, hovered over the Rockies, an area of high pressure, and a high-powered, nearly weeklong rainstorm resulted. The subsequent floods significantly impacted Colorado’s most highly populated regions along the front range of the Rockies. The pressure of the floods literally ripped homes from their foundations, demolished roads and bridges, and initially left a reported 12,000 people stranded. Currently, eight fatalities have been reported as a result of the devastating floods. Fields of corn, many local farmers’ number one cash crops, have been flushed away, as have multiple gas and oil production sites in the region. President Obama has declared a state of emergency in Colorado, making residents hit hardest by the floods eligible for federal grants to repair their homes, once the areas are deemed safe. A community that went from good to great in the darkness of a stormy night. “We are alive and not so well here at Frasier…but we’re getting better!” said Tim Johnson, President & CEO of Fraiser Meadows Retirement Community in Boulder. Thursday evening, September 12, 2013, a wall of water made a direct hit on the Health Care Center. Because of severe roof leaks in their Assisted Living building, the staff made a decision to relocate all of their Assisted Living residents (34) to other locations around the campus. Each resident had a team of staff members who moved their bed, including a container of their most important belongings, while other staff assessed the damage to the building. That was completed by about 7:45 p.m. on Thursday evening. As staff gathered in the Assisted Living lounge, an employee shouted that the Health Center was in a state of disaster. En masse, staff ran to the lobby where a wall of water was pressing up against the entrance. Suddenly, the water broke loose and penetrated the building, flooding the Health Care Center, the Assisted Living building and two underground garages. Staff immediately went to our two 27-bed units in the Health Care Center moving residents out of the building. Take our social media challenge, enter to win! Senior Flu Twitter Chat Success! "Nothing Good Happens After Midnight"